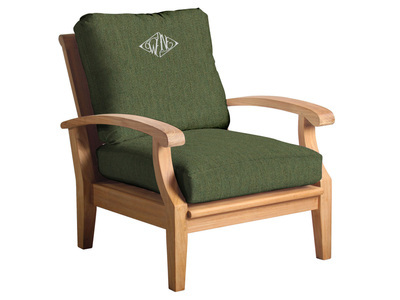 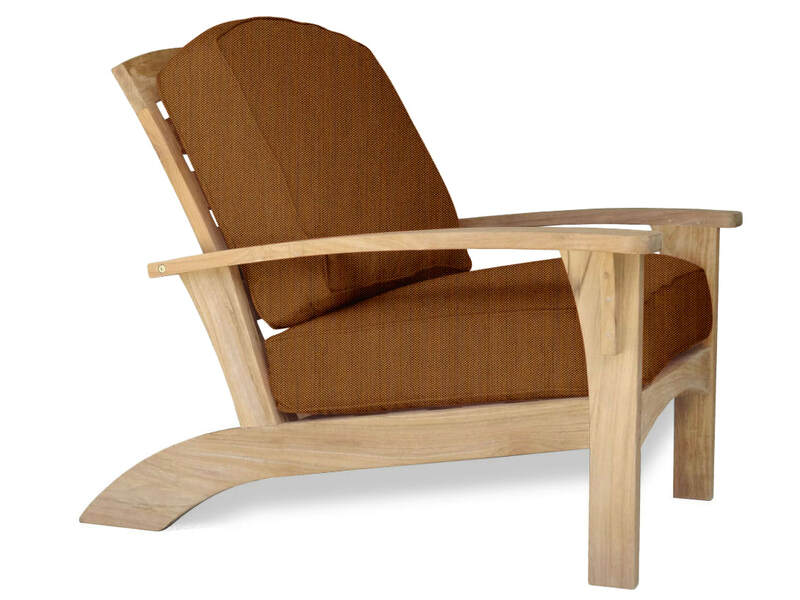 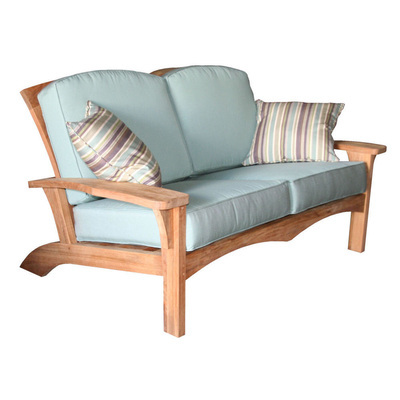 Carton Size: 38" x 49" x 11"
Featuring wide paddle arms, a sloping seat and rear supporting legs, it has some common elements of the Adirondack chair. 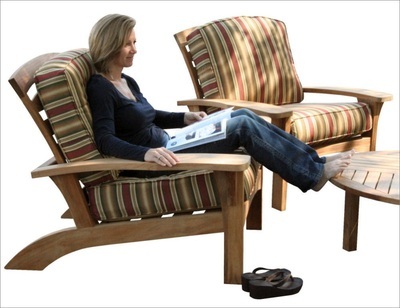 And although it could claim the Adirondack as a cousin, the Augusta has created a style completely its own. 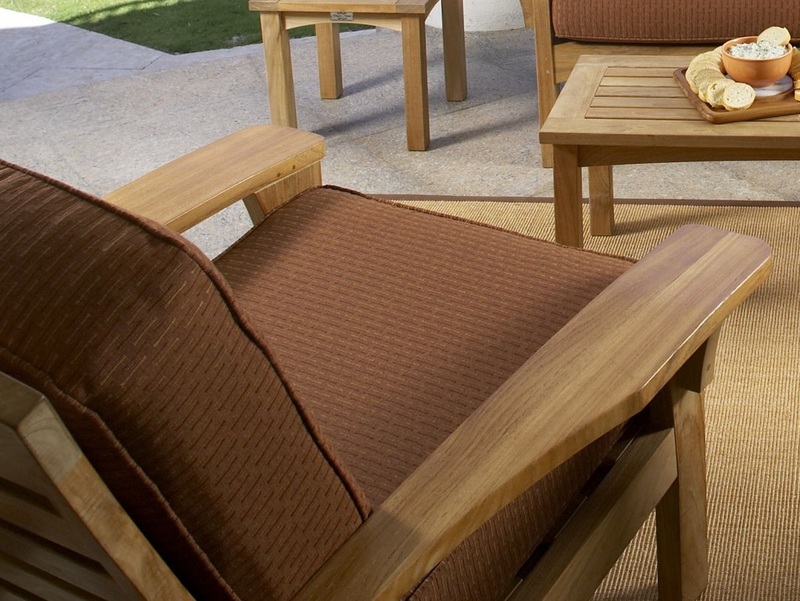 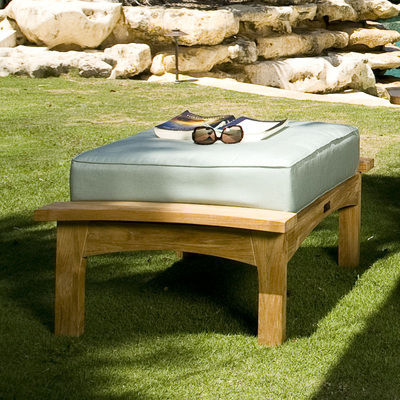 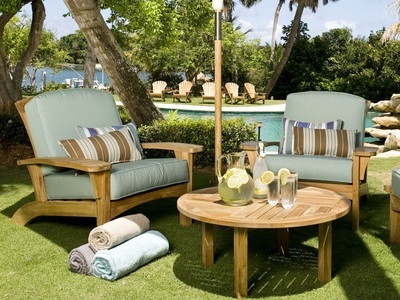 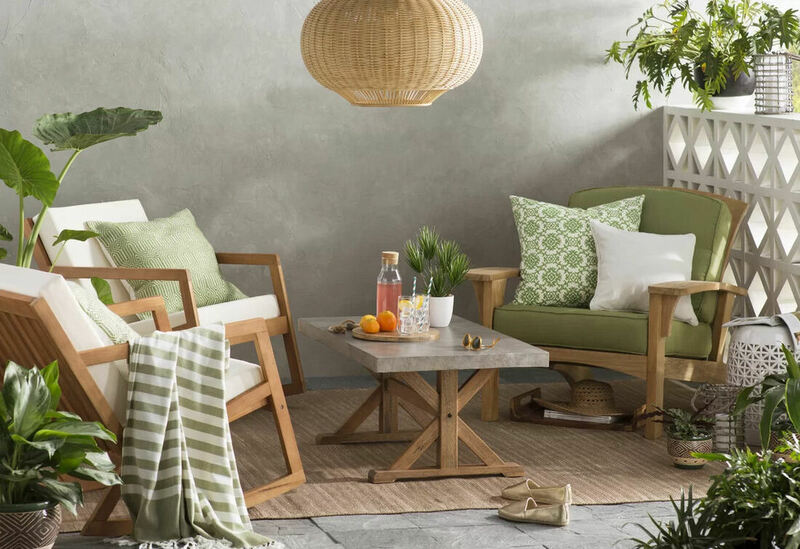 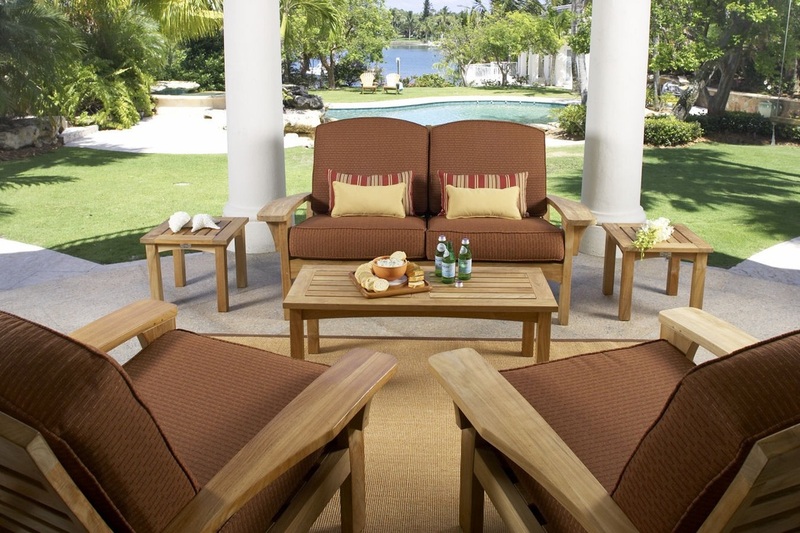 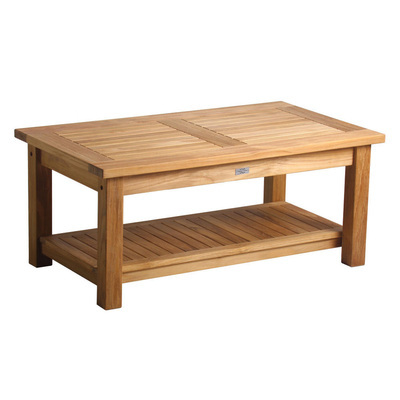 This new design bucks the trend of other teak manufacturers to minimize the amount of teak in favor of aluminum or stainless. 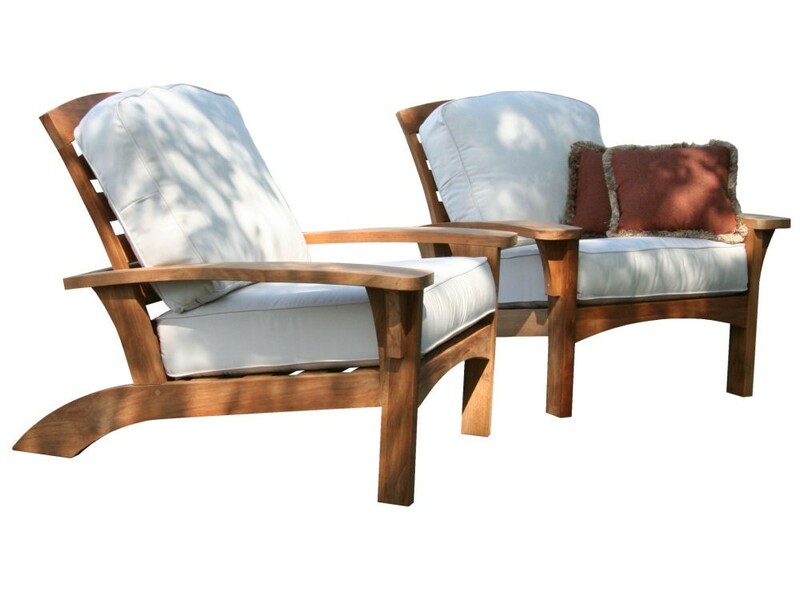 Never to be described as sleek or slender, Augusta pieces are typically 10-15% larger in scope than competing deep seating furniture. 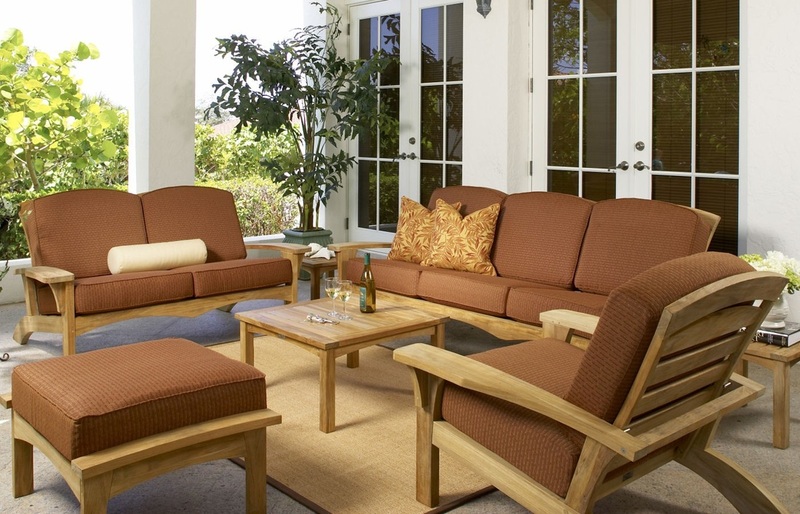 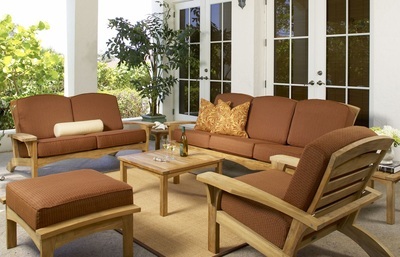 The Augusta Club Chair and Loveseat come with a 3-stop reclining feature to offer varied relaxing positions. 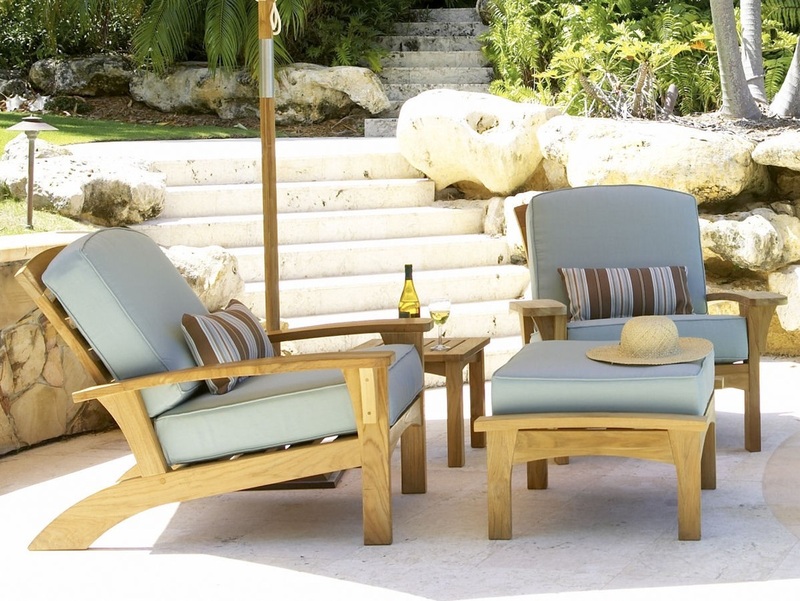 Along with the good looking style from the front and side, the Augusta furniture adds an exquisite, handsome curve to the backrest design.